Last edited by Mlle_Alexandrie on Sun Nov 18, 2012 6:48 pm, edited 4 times in total. *Applauds Alix's idea! * Is this the reason why you decided to stay? @LastAmi: I cannot express how much of a genius you are! 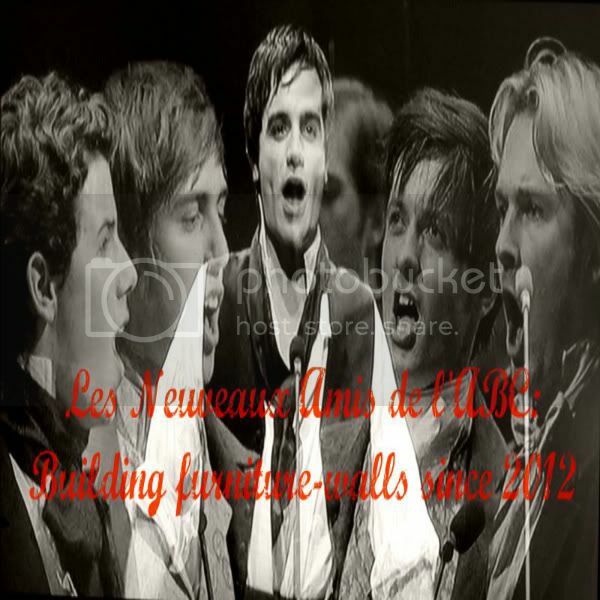 Last edited by Enjolras-the-jaw on Fri Jan 20, 2012 8:18 pm, edited 1 time in total. *le dramatic bow* I know right? I assume when you say we can be as crazy as we want, I still have to... keep IT under control. ....I still have the Frying Pan of Doom. Does that answer your question? It's easier to be odd or crazy or insane than to hurt all the time. The wrong shall fail, the right prevail. Rendre un homme heureux c'est mériter d'etre homme. Entendons nous sur L'égalité; car, si la liberté est le sommet, l'égalité est la base. Last edited by LastAmi on Fri Jan 20, 2012 8:27 pm, edited 1 time in total. I am absolutely terrified of crazy Miz fans with frying pans, death glares, and Granny speeches... I am dead serious here guys! I'm so glad all this is over... actually, I'm sort of glad this all happened, in an odd sort of way. 'Cause if it didn't, I don't think I'd ever had realized how much I care for y'all, and how much we care for each other-- and I never wouldn't have gotten the courage to do something I've wanted to for a few weeks now. Anyway, sappy time is over. MORE ENJY THE UNICORN!!!!! We're the Amis reincarnated, really: we are all one big family *does a group hug*... Speaking of which, we should go around and see which Ami people are like and possibly change our nicknames accordingly.